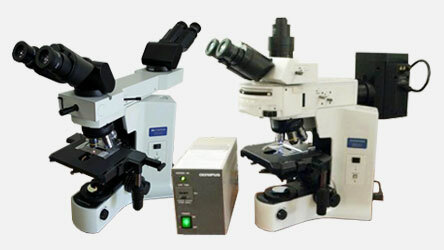 Looking to buy refurbished, used Histology and Pathology instruments? We recommend contacting Southeast Pathology Instrument Service, Inc., which specializes and services hospitals and independent pathology laboratories in the Southeastern United States and Caribbean. Southeast Pathology Instrument Service offers some of the best remanufactured pathology instrumentation around. They use their wide service knowledge, craftsmanship and attention to detail to refurbish instruments with all the necessary items. Plus, each instrument they sell is refinished, durable and fully calibrated to perform. Visit their website to browse their large inventory or reach out to them if you have old instruments. They will buy surplus lab equipment to be refurbished. Southeast Pathology Instrument Service, Inc. is located in Charleston, South Carolina and has over 20 years experience in the pathology equipment field. We find them to be fair and carry high standards toward their customer base. They are a verified vendor for the US Government, are professionally trained and certified on many popular brands including Sakura, Microm, Thermo Shandon and Leica instrumentation, and service a broad base of Medical Universities, Research facilities, VA Hospitals, GE services, Private and Public Hospitals, Aramark services, Independent Pathology labs, Moh’s clinics and more. For repairs, preventative maintenance service or service contracts for Tissue Processors, Microtomes, Cryostats, Coverslippers, Stainers, Embedding Centers and more, give them a contact.